The Bonner Leaders are students dedicated to improving lives in the community. They respond to the economic, social, and cultural challenges affecting the quality of life in the city of Houston. The Bonners are top academic performers who learn by engaging in the community. Through their project-based service, Bonners learn critical skills, including leadership, teamwork, project planning, and time management. 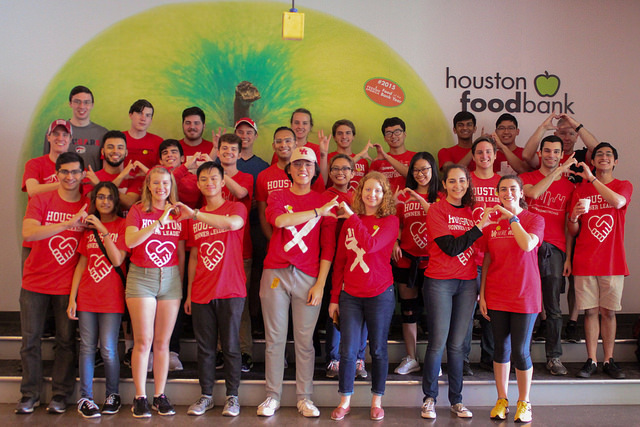 The mission of the Bonner Leaders Progam at the University of Houston is to create high-quality educational experiences for students, while simultaneously working to build a better Houston community. We do this by focusing on the factors that perpetuate the cycle of poverty: food insecurity, educational achievement, and community health and nutrition. We believe that working with and through partners not only contributes to the community, but also enriches and enhances the student learning experience. The Bonner Leaders program welcomes incoming Honors freshmen to apply to the program. Interested students need only to fill out this application. Applications are reviewed on a rolling basis and applicants will be notified once their application has been reviewed. Service is not exclusive to Bonners. We invite all students interested in performing service in the community to join us. All you need to do is fill out this form and you will be contacted by a member of the Bonner leadership team.